La Jolla (/ləˈhɔɪ.ə/) is an affluent neighborhood in San Diego, California. It is a hilly seaside community, occupying 7 miles (11 km) of curving coastline along the Pacific Ocean within the northern city limits. 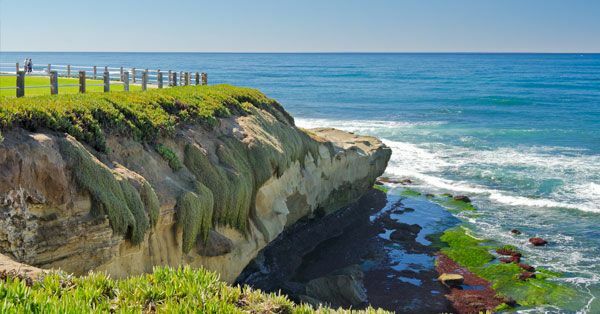 La Jolla is surrounded on three sides by ocean bluffs and beaches and is located 12 miles (19 km) north of Downtown San Diego, and 40 miles (64 km) south of Orange County ,California. The climate is mild, with an average daily temperature of 70.5 °F (21.4 °C). 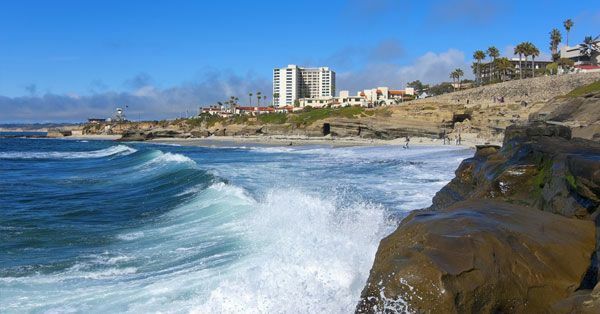 La Jolla is home to a variety of businesses in the areas of lodging, dining, shopping, software, finance, real estate, bio-engineering, medical practice and scientific research. The University of California, San Diego (UCSD) is located in La Jolla, as are the Salk Institute, Scripps Institution of Oceanography, Scripps Research Institute, and the headquarters of National University. During the Mexican period of San Diego’s history, La Jolla was mapped as pueblo land and contained about 60 lots. When California became a state in 1850, the La Jolla area was incorporated as part of the chartered City of San Diego. In 1870 Charles Dean acquired several of the pueblo lots and subdivided them into an area that became known as La Jolla Park. Dean was unable to develop the land and left San Diego in 1881. A real estate boom in the 1880s led speculators Frank T. Botsford and George W. Heald to further develop the sparsely settled area. In the 1890s the San Diego, Pacific Beach, and La Jolla Railway was built, connecting La Jolla to the rest of San Diego. La Jolla became known as a resort area. To attract visitors to the beach, the railway built facilities such as a bath house and a dance pavilion. Visitors were housed in small cottages and bungalows above La Jolla Cove, as well as a temporary tent city, erected every summer. Two of the cottages that were built in 1894 still exist: the “Red Roost” and the “Red Rest”, also known as the “Neptune and Cove Tea Room”; the two cottages have been vacant since the 1980s, and are covered in tarpaulins. The La Jolla Park Hotel opened in 1893. The Hotel Cabrillo was built in 1908 by “Squire” James A. Wilson and was later incorporated into the La Valencia Hotel. By 1900 La Jolla comprised 100 buildings and 350 residents. The first reading room (library) was built in 1898. A volunteer fire brigade was organized in 1907; the city of San Diego established a regular fire house in 1914. Livery stable owner Nathan Rannells served successively as La Jolla’s volunteer fire captain, first police officer (the only San Diego police officer north of Mission Valley), and first postmaster. The Bishop’s School opened in 1909. La Jolla High School was established in 1922. The La Jolla Beach and Yacht Club (later the La Jolla Beach and Tennis Club) was built in 1927. La Jolla Farms – This northern La Jolla neighborhood is just west of UCSD. It includes the Torrey Pines Gliderport, the Salk Institute, and a group of expensive homes on the cliffs above Black’s Beach. La Jolla Shores – The residential area and the Scripps Institution of Oceanography campus along La Jolla Shores Beach and east up the hillside. Also includes a small business district of shops and restaurants along Avenida de la Playa. La Jolla Heights – The homes on the hills overlooking La Jolla Shores. No businesses. Hidden Valley – Lower portion of Mount Soledad on the northern slopes. No businesses. Country Club – Lower Mt. Soledad on the northwest side, including the La Jolla Country Club golf course. Village – Also called Village of La Jolla (not to be confused with La Jolla Village) the “downtown” business district area, including most of La Jolla’s shops and restaurants, and the immediately surrounding higher density and single family residential areas. Beach-Barber Tract – The coastal section from Windansea Beach to the Village. A few shops and restaurants along La Jolla Boulevard. Lower Hermosa – Coastal strip south of Beach-Barber Tract. No businesses. Bird Rock – Southern coastal La Jolla, and the very lowest slopes of Mt. Soledad in the area. Notable for shops and restaurants along La Jolla Boulevard, five traffic roundabouts on La Jolla Boulevard, coastal bluffs, and surfing areas just two blocks off the main drag. Muirlands – Relatively large area on western middle slope of Mt. Soledad. No businesses. La Jolla Mesa – A strip on the lower southern side of Mt. Soledad, bordering Pacific Beach. No businesses. La Jolla Alta – A master planned development east of La Jolla Mesa. No businesses. Soledad South – Southeastern slopes of Mt. Soledad, all the way up to the top, east of La Jolla Alta. Muirlands West – The small neighborhood between Muirlands to the south, and Country Club to the north. No businesses. Upper Hermosa – Southwestern La Jolla, north of Bird Rock and east of La Jolla Blvd. La Jolla Village – Not to be confused with the Village (of La Jolla). In northeast La Jolla, east of La Jolla Heights, west of I-5 and south of UCSD. The neighborhood’s namesake is the La Jolla Village Square shopping and residential mall, which includes two movie theaters. The University of California, San Diego is the center of higher education in La Jolla. The campus’ original name was UC La Jolla before it was changed to UC San Diego. UCSD includes the Scripps Institution of Oceanography and the San Diego Supercomputer Center. National University is also headquartered in La Jolla, with several academic campuses located throughout the county and the state. Among the several research institutes near UCSD and in the nearby Torrey Pines Science Park are The Scripps Research Institute, the Sanford-Burnham Medical Research Institute (formerly called the La Jolla Cancer Research Foundation), La Jolla Institute for Allergy and Immunology (LIAI) and the Salk Institute. 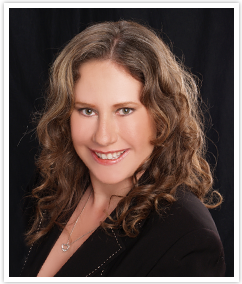 La Jolla is served by the San Diego Unified School District. Public schools include La Jolla High School, La Jolla Elementary (which was the first public school, built in 1896 with the first classes in the Heald Store at the corner of Herschel Avenue and Wall Street, later moving to its present location on Girard Avenue), Torrey Pines Elementary, and Bird Rock Elementary,as well as The Preuss School UCSD, a public charter school. 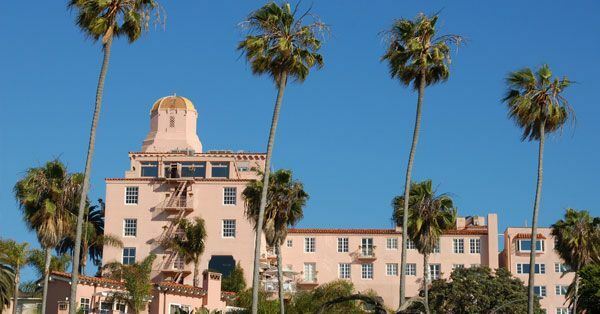 The community’s prep schools are The Bishop’s School, which was the first private school opened in 1909, The Children’s School, Integral Elementary School of La Jolla, Delphi Academy, Stella Maris Academy, The Gillispie School, and the Evans School. La Jolla Country Day School is located in the nearby community of University City.